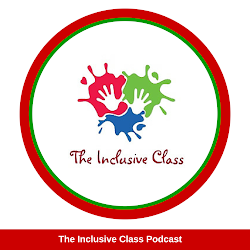 The Inclusive Class: You Don't Think You Are an Inclusion Teacher? Think Again. 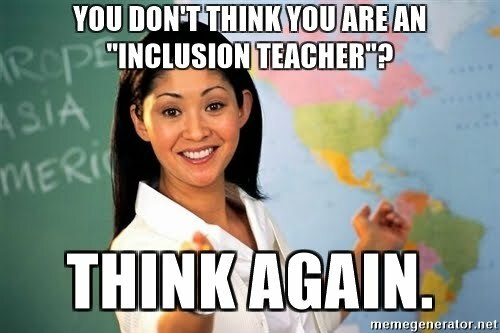 You Don't Think You Are an Inclusion Teacher? Think Again. 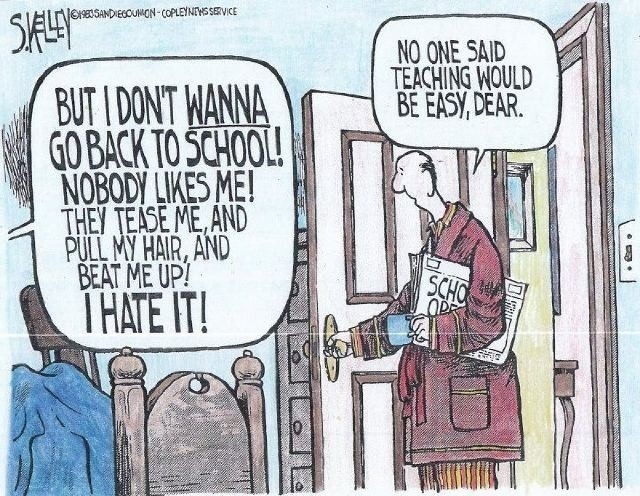 If you think that the beginning of a school year is something that only students get anxious about - think again. Teachers also worry about what their class will be like, how they will get up and get to school on time, and what they will eat for lunch! One of the biggest worries a teacher has is having to try something new. Whether it is a new grade level, a new reading program, a new grading software, or even a new school wide initiative, teachers have a myriad of concerns. Will it benefit my students? Will there be enough time? Will I be able to teach it? Teachers can also worry about teaching students who are perceived as "different" from the general education population. They aren't sure how to include the student in their classroom activities and routines. They wonder how they will teach the student according to his or her learning needs. They are stressed about potential disruptions to the classroom curriculum and other students. When asked to teach a student with disabilities in their classroom those teachers respond with, "But, I'm not an inclusion teacher!" 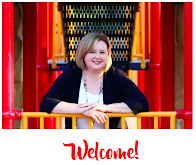 If you are one of those teachers or know of a teacher who claims that they are not an inclusion teacher then my response is, "***NEWSFLASH*** YOU ALREADY ARE!" - various levels of abilities. Not every child in your class reads at the exact same level. Nor do they compute math, write, or act at the same developmental level. Not every child can write a complex sentence or identify all the states on a map. The fact is, your class is not a homogenous mix and every student has varying strengths. - various learning challenges. Some students can be strong readers yet find it difficult to solve complex word problems in math. Other students demonstrate a talent for drawing and creating but struggle to understand a science concept. It is common for students to find certain subject areas more challenging than others. As teachers, we find ways to support the learning needs of those students. We provide extra instruction or time to re-do an assignment. We use visual aides and tools that enhance understanding to help students overcome their challenges. Teachers look for different ways to reach and engage learners. - diverse learning styles. Some children in your class prefer to read text in order to learn, others like to listen to music, or even tap their pencil. You are already catering to the different learning styles in your classroom by providing students with different opportunities for learning new material. You ask them to write, read, color, draw, and create. - different modes of communication. Not every child in your class communicates in the same manner. Some of your students speak more than one language. English might not be their first language and they are still learning the meaning english metaphors. Some students communicate with hand gestures or body movements. Others are more in tune with the tone in which language is used. As humans, we communicate in many different ways with one another. - different levels of social and emotional development. Just as with academics, students in our classrooms demonstrate different levels of social and emotional maturity. In our classes, students can respond differently to the same situation. For example, a student may not be willing to share colored pencils with another student. Or, a student may not show respect and respond with laughter when another student answers a question incorrectly. For others, physical aggression is the only way they know how to react to a frustrating situation. Age is never an indicator of a student's ability to handle excitement, stress, anger, or disappointment. - various physical needs. Again, we already have students with varying types of physical needs in our classrooms. We have students with allergies, students who need to wear eye glasses, students who are on medication, and students who don't get enough sleep. Teachers make accommodations every day in the classroom to support a student's physical development and health. 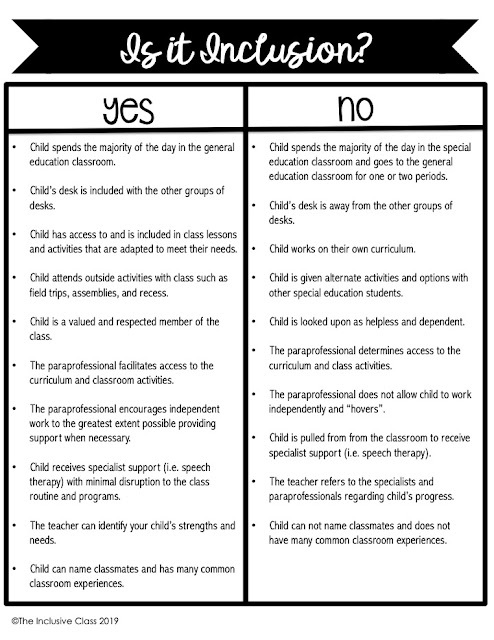 As you can see, your class is a mixed bag of abilities and needs that you already address with your teaching style, teaching tools, and teaching supports. You are capable of using all your knowledge and resources to successfully instruct all types of students. 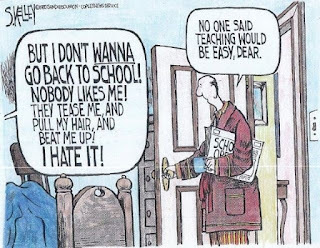 So, when you are beginning a new school year and are asked to teach a student with disabilities, don't worry! 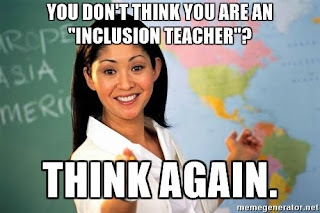 You don't think you are inclusion teacher? Guess what? You already are!